Sounds like the beginning of a joke, right? But that’s really what this book is about, except instead of just walking into a church, Rachel (the witch), Ivy (the vampire), and Jenks (the pixie) are now renting it and living there. All three used to work for the government, and all three have broken their contracts to go out freelancing. Unfortunately, the government is quite unhappy that Ivy has left them, and they blame Rachel. There’s a price on her head now, and she’s quite busy dodging assassins, spells, curses, fairies, and demons, not to mention trying to avoid getting the blood drained out of her by her new vampire roomy. I’ve not read a lot of straight-up urban fantasy, so I have very little experience with it. My last experience was with Jim Butcher’s Storm Front, and I was on the fence about it. I’m pleased to say that Dead Witch Walking was a tremendous success for me. 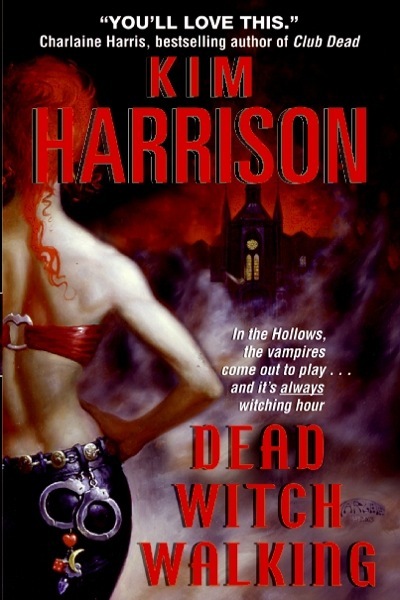 I loved the characters, I loved the world that Harrison has built, and I like the strain of humor that goes through the story. Also on the plus side, this long series (13 books) is already finished as of a year ago, so I can work my way through book after book of fun, without ever having to wait if I don’t wish to. I’ll bet the audio versions would be fantastic, too, for future installments! This entry was posted in 2015, Adult, Prose and tagged dream-invader, LGBTQIA, mini-review, RIP-worthy, speculative. Bookmark the permalink.